If we belong to Christ, we know the Spirit of God lives in us (Rom. 8:9; 1 Cor. 6:19-20). 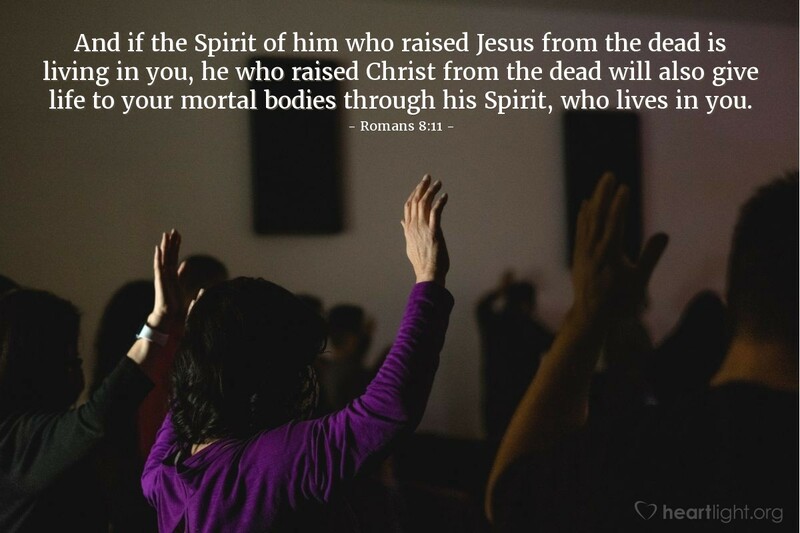 Because of the Spirit's presence, we know that we are eternal! The Spirit is God's down payment guaranteeing that our future is with him (2 Cor. 1:21-22; 2 Cor. 5:5). What's more, even while we're living for Christ now, the Spirit gives us life in our physical bodies as we use them for God's glory (cf. Rom. 12:1). Father, animate my body with your Spirit so that what I do not only brings you glory, but it also reflects your character and grace. To you, O Father, be all the glory for your presence and power that is at work within me, your child. In Jesus' name. Amen.